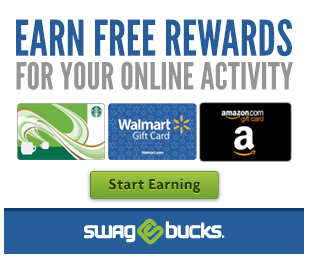 SwagBucks - Whether you are searching the web, answering polls, or shopping online - you can earn points that can be redeemed for 1,000's of awesome prizes like gift cards, clothing, video games, etc. for free! Swagbucks are free digital dollars that you can earn by searching - just like you do on Google - hunting for swag codes, answering polls, surveys, doing tasks, etc. You can turn in your Swagbucks for Amazon, Target or Starbucks gift cards or iPod, TV, video games and more! Click to sign up! Zoombucks is also a search and win site - for free digital dollars that you can trade for over 100 different brand name gift cards. ZoomBucks is also launching GAMES! Games will cost 1 ZBuck and prizes will be awarded DAILY for 1st, 2nd and 3rd for EACH GAME (6 games to start). Zoombucks is available to the US, Canada and the UK. Click to sign up! iRazoo is also a search and win site, yet keys on a slightly different approach. You can search and win free digital dollars that you can trade for Amazon or Best Buy gift cards and other great electronic prizes. But iRazoo is also a social search engine that rewards you for voting on the sites within the search results. iRazoo is available to the US, Canada and the UK. Click to sign up! 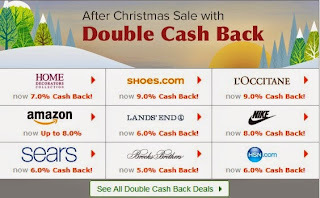 Ebates - Cash back rebates, as well as great discount coupons, when you shop at over 1,700 online stores! I've already made $545! Joining Ebates is always free - you'll never pay them anything. And four times a year or more, they will mail you a Big Fat Check, or transfer the money to your PayPal account if you'd prefer. They can even send the money to your favorite charity. All 100% free. Plus you get $5.00 just for signing up!